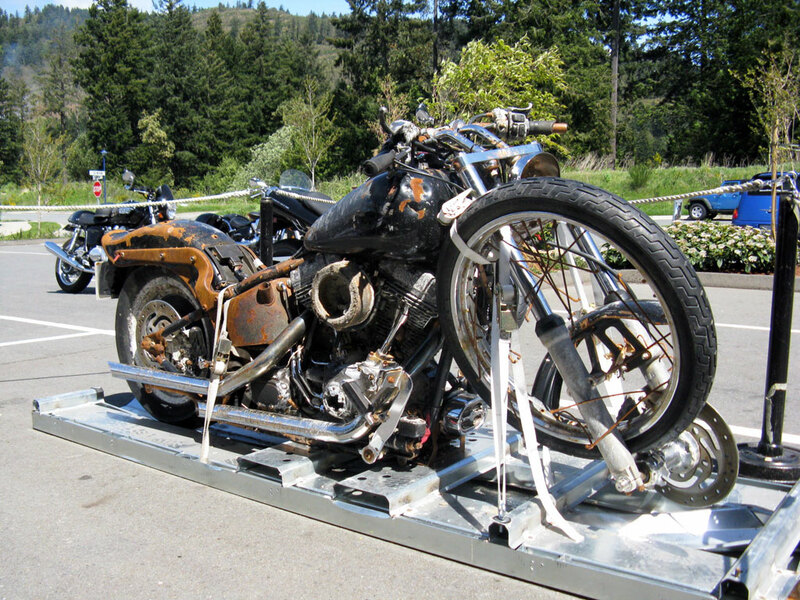 MILWAUKEE (May 25, 2012) - A Harley-Davidson motorcycle recovered on the coast of British Columbia after drifting for more than a year and 4,000 miles across the Pacific Ocean following last year’s Japanese Tsunami will be preserved by the Harley-Davidson Museum in Milwaukee as a memorial to the tragedy that claimed more than 15,000 lives, in accordance with the wishes of its owner, Ikuo Yokoyama. 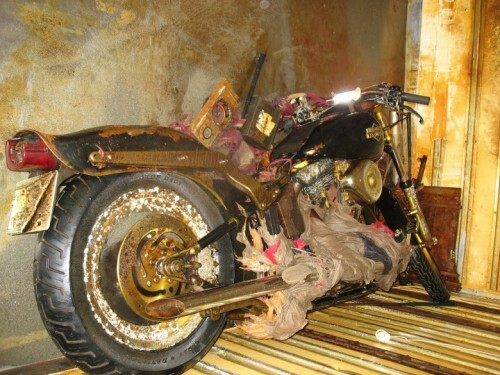 The remarkable story of the 2004 FXSTB Softail Night Train motorcycle’s survival and recovery by Canadian Peter Mark made international headlines after he found it washed ashore on a remote beach on British Columbia’s Graham Island at low tide. 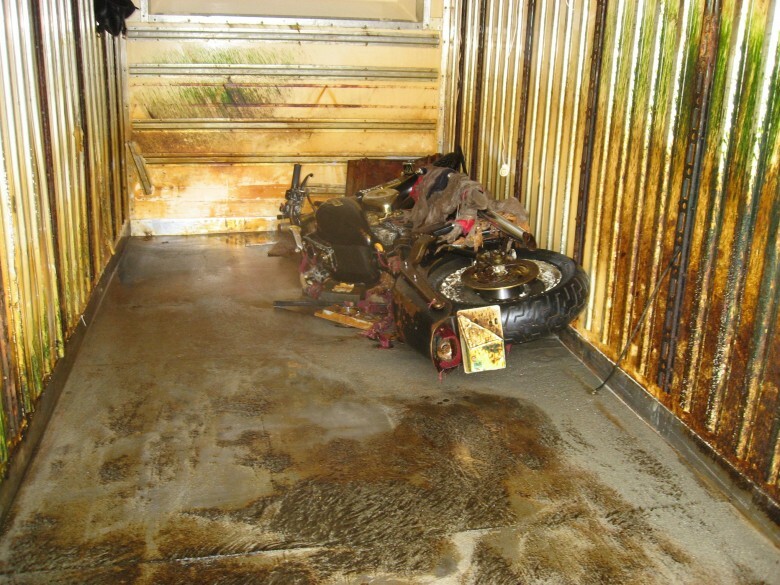 Mark discovered the motorcycle, still bearing its Japanese license plate, along with several other items in the remains of an insulated cargo van container where the motorcycle was being stored by Yokoyama prior to the Tsunami that struck Japan on March 11, 2011. Working with news agencies and representatives from Deeley Harley-Davidson Canada and Harley-Davidson Japan, contact was made with 29-year-old Yokoyama, who lost his home and currently lives in temporary housing in Miyagi Prefecture, Japan. 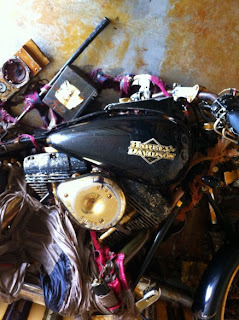 Harley-Davidson offered to return his bike. But still struggling to rebuild his life in the aftermath of the disaster, Yokoyama respectfully declined. Although grateful for the offer to repatriate his motorcycle and touched by the outpouring of support from Harley riders around the world, Yokoyama requested to have it preserved in the Harley-Davidson Museum in honor of those whose lives were lost or forever changed by the disaster. “It is truly amazing that my Harley-Davidson motorcycle was recovered in Canada after drifting for more than a year,” said Yokoyama. 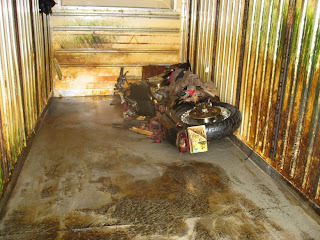 “I would like to take this opportunity to express my heartfelt appreciation to Peter Mark, the finder of my motorcycle. Due to circumstances caused by the disaster, I have been so far unable to visit him in Canada to convey my gratitude. “My heart really goes out to Ikuo Yokoyama and all the survivors of the Tōhoku earthquake and Tsunami for everything that was taken from them. I cannot even begin to comprehend the loss of family, friends and community,” said Mark. 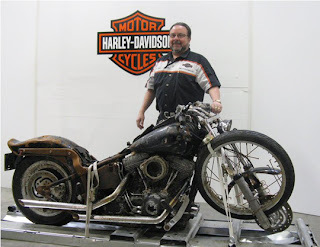 “I think it is fitting that the Harley which was swept across the Pacific Ocean by the Tsunami will end up in the Harley-Davidson Museum as a memorial to that tragic event. It has an interesting and powerful story to convey preserved in its current state. The motorcycle was recovered by Mark with the help of friends and transported to Victoria with support from Ralph Tieleman and Steve Drane of Steve Drane Harley-Davidson. It has since been transferred to Deeley H-D Canada in Vancouver. Plans for its transportation to and display at the Harley-Davidson Museum are being developed. “I’ve always felt Harley-Davidson motorcycles have a soul, and their owners obviously have an emotional attachment to their bikes. 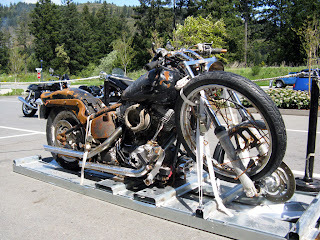 I just wanted to reunite this bike with its owner,” said Steve Drane of Steve Drane Harley-Davidson in Victoria, B.C. 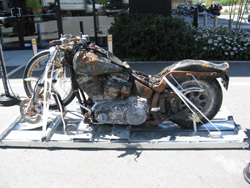 “The Harley-Davidson Museum is honored to receive this amazing motorcycle to ensure that its condition is preserved and can be displayed as a memorial to the Japan Tsunami tragedy,” said Bill Davidson, Vice President of the Harley-Davidson Museum.